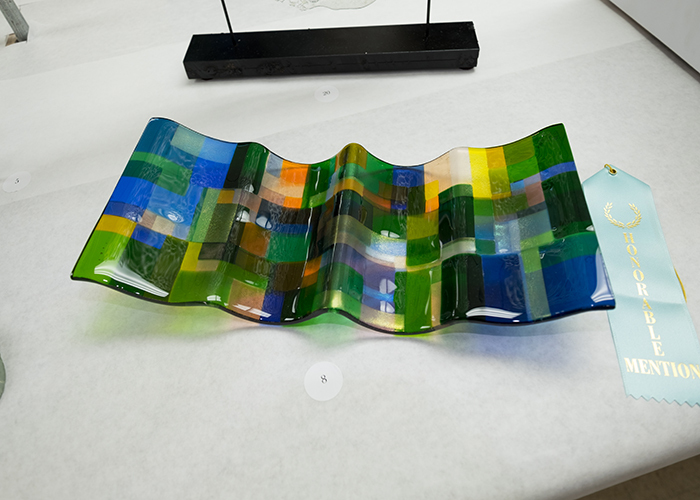 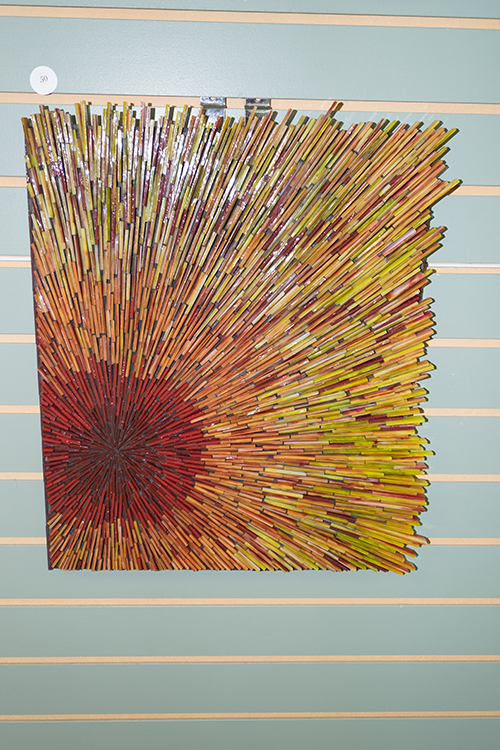 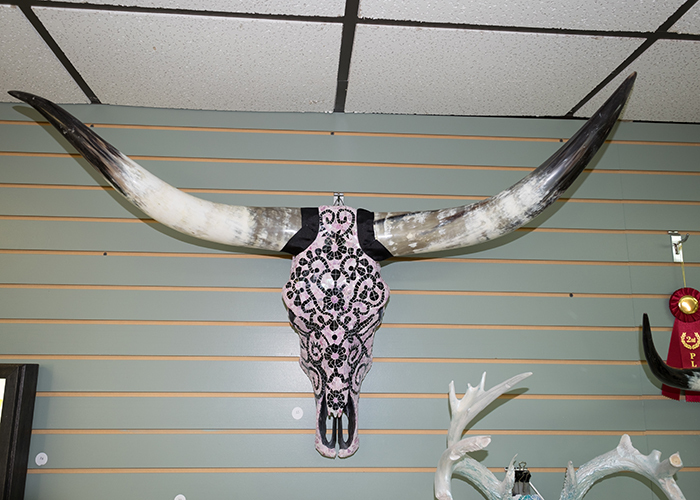 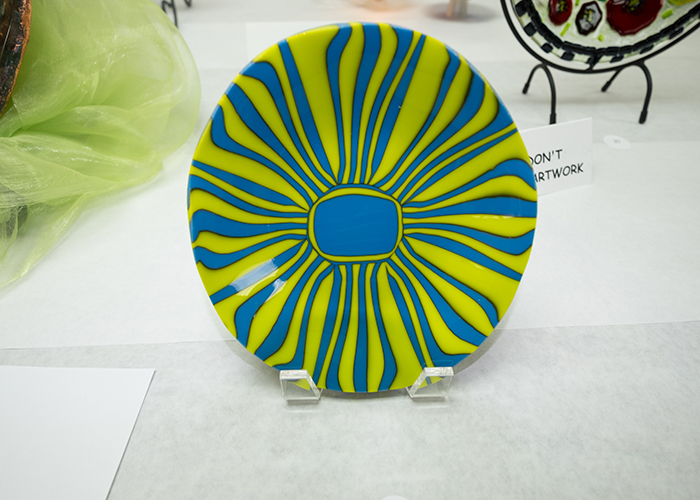 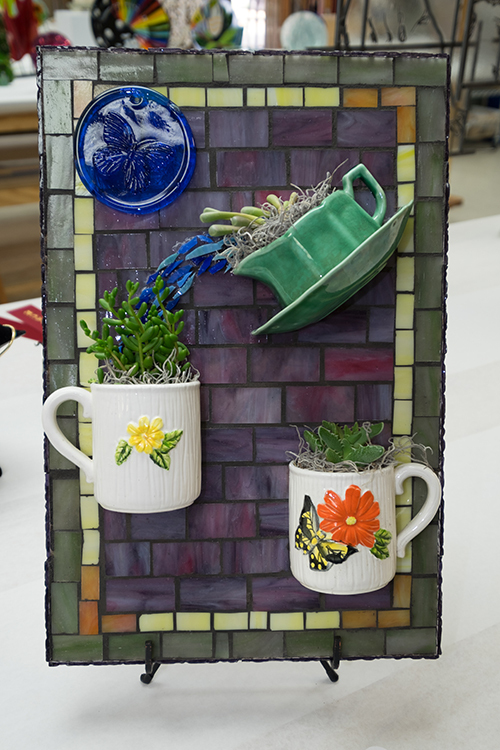 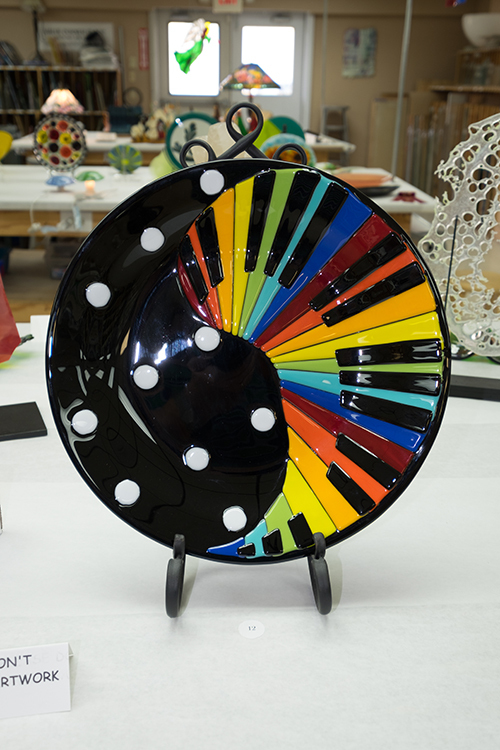 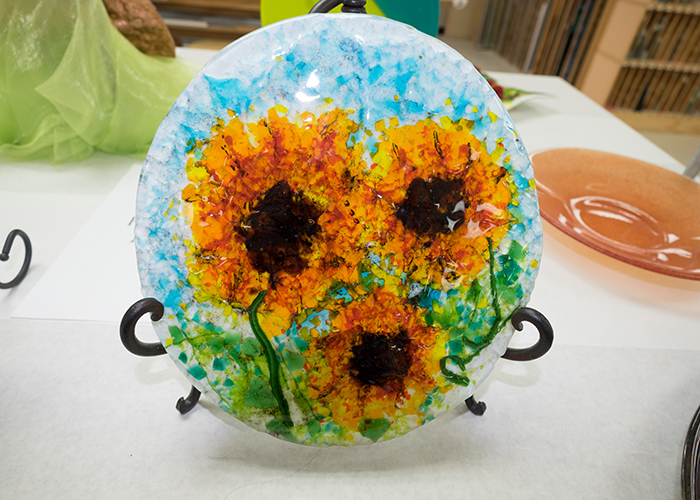 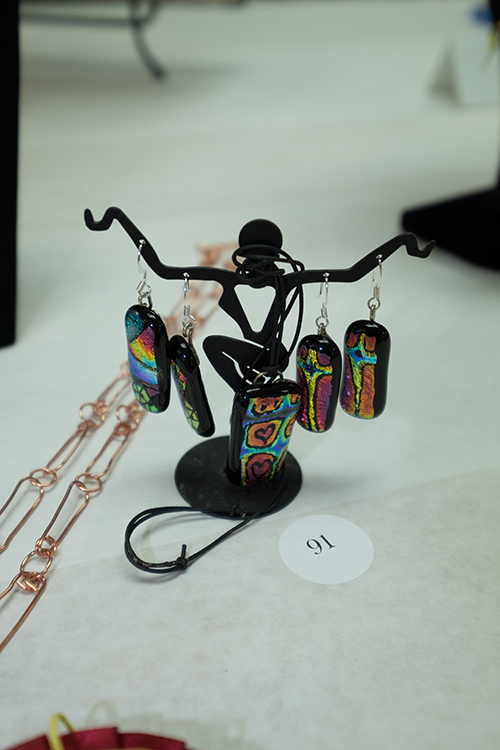 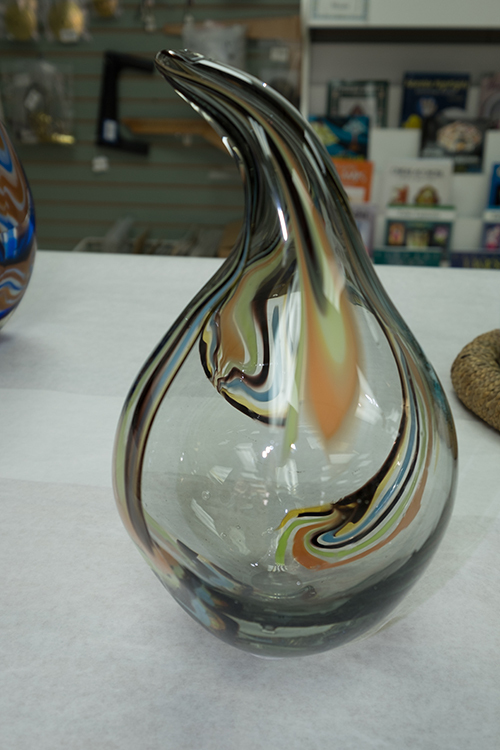 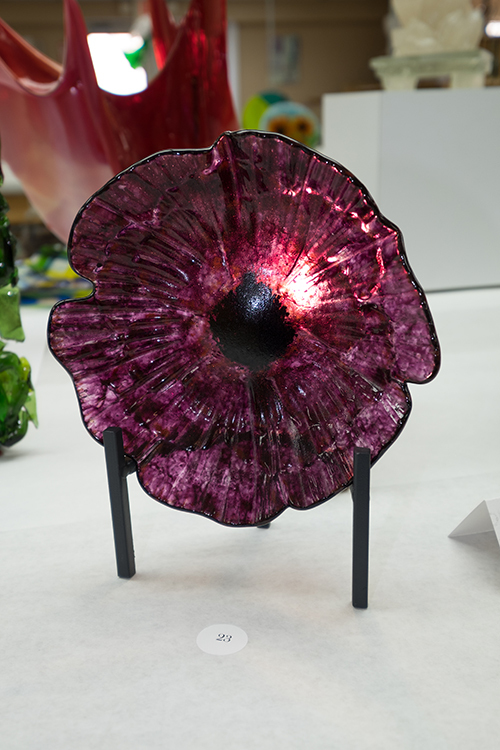 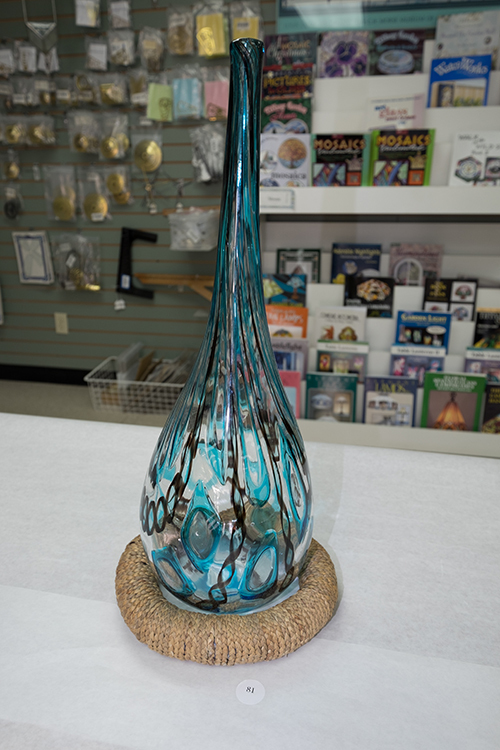 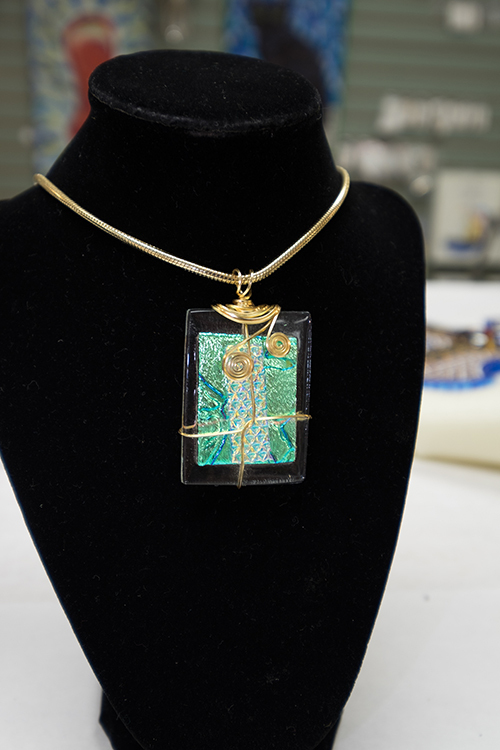 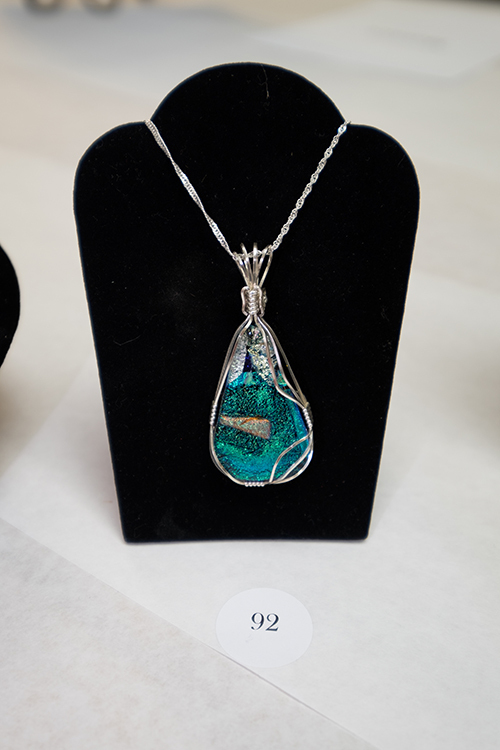 The 2016 Glass Gathering Art Show was an amazing display of varied art executed in glass. 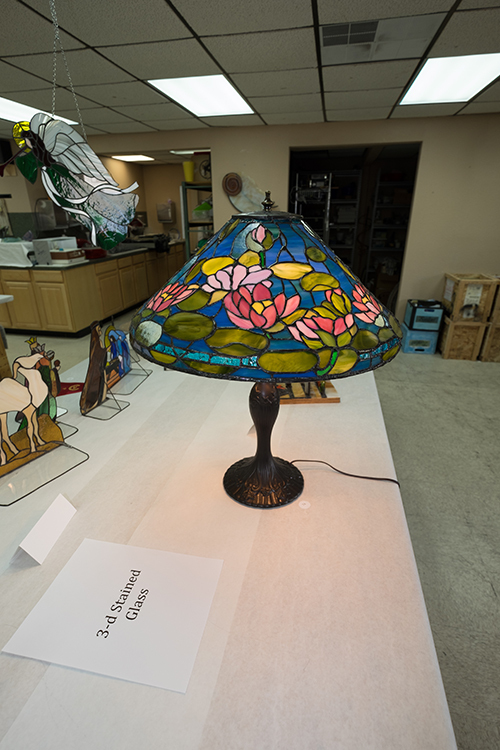 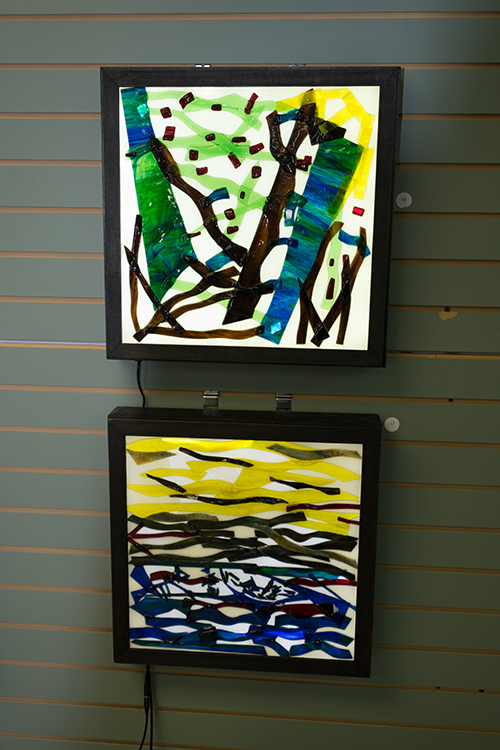 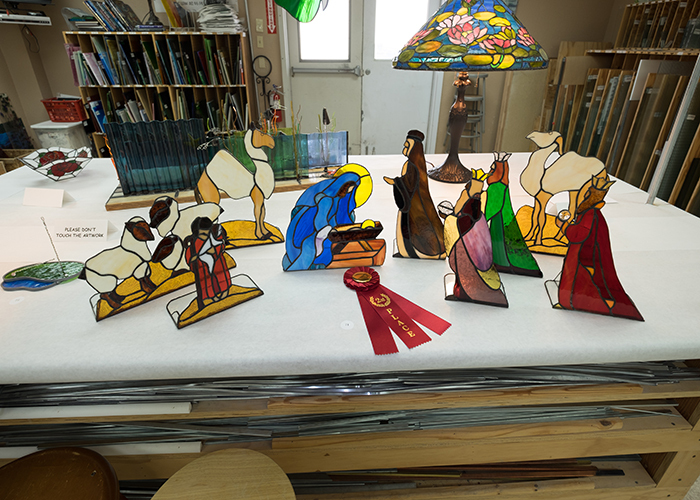 Held Saturday May 14, 2016, at Harmony Stained Glass the show included more artists and entries than previous years, with an even greater variety of glass techniques represented. 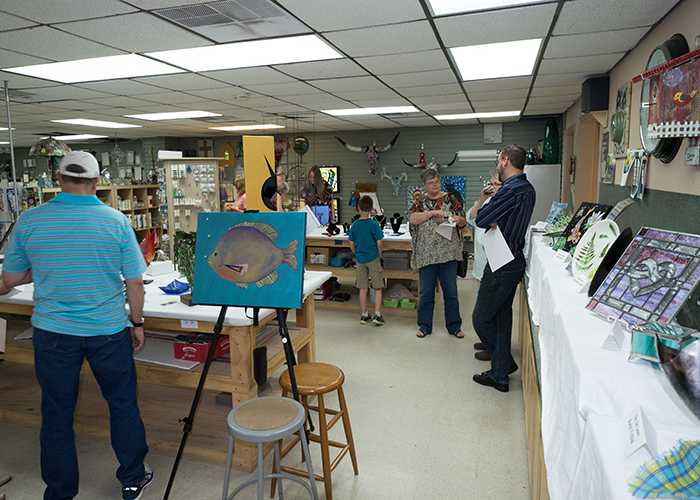 Despite some inclement weather, the evening wine and cheese reception was a great chance to speak with the artists and enjoy the work. 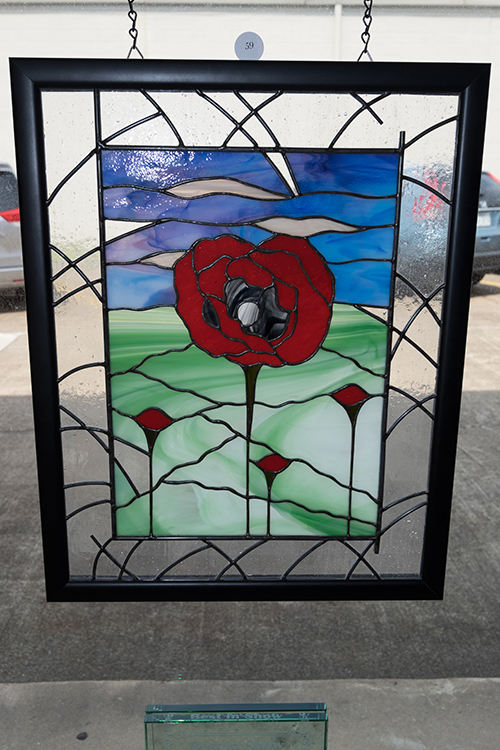 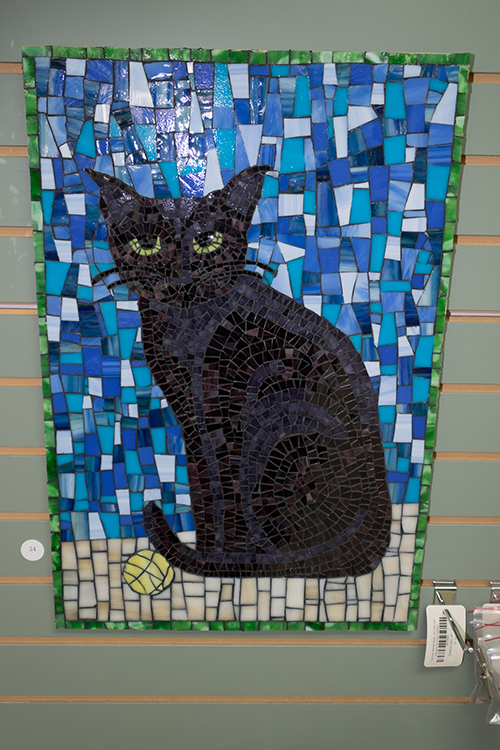 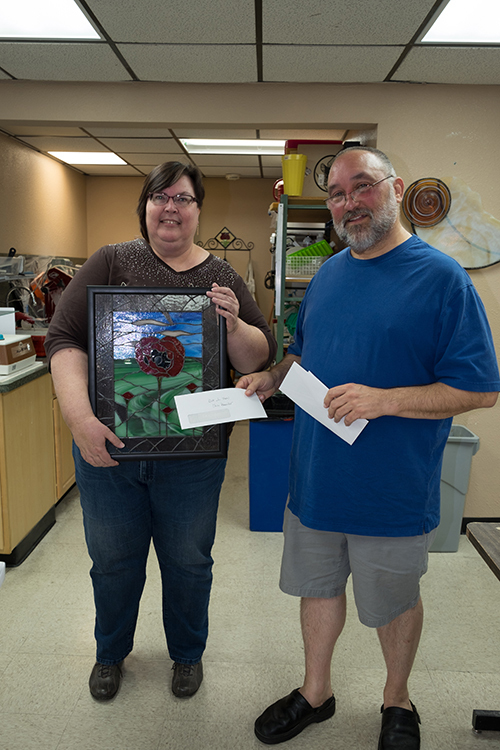 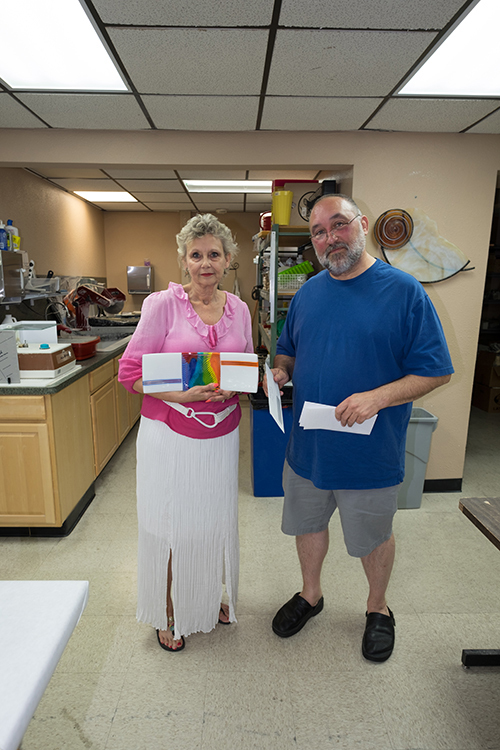 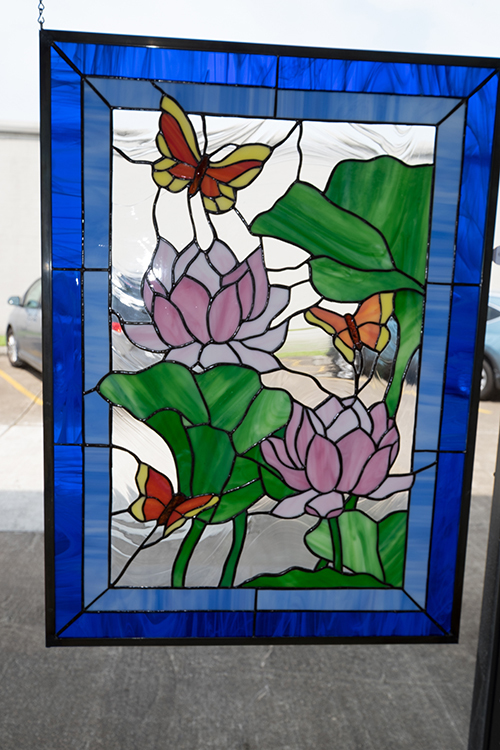 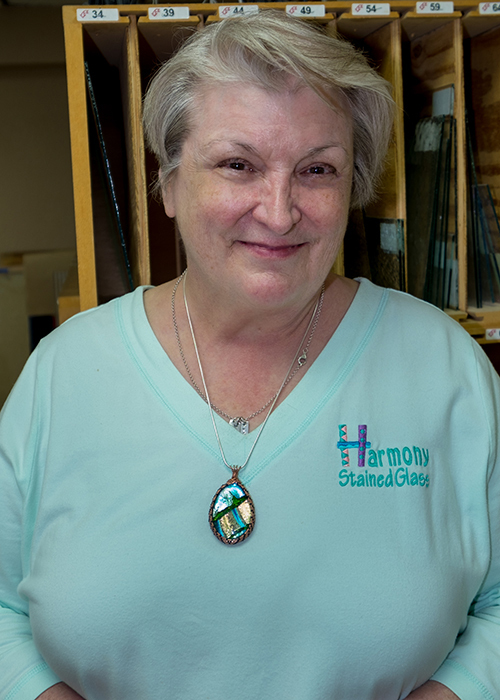 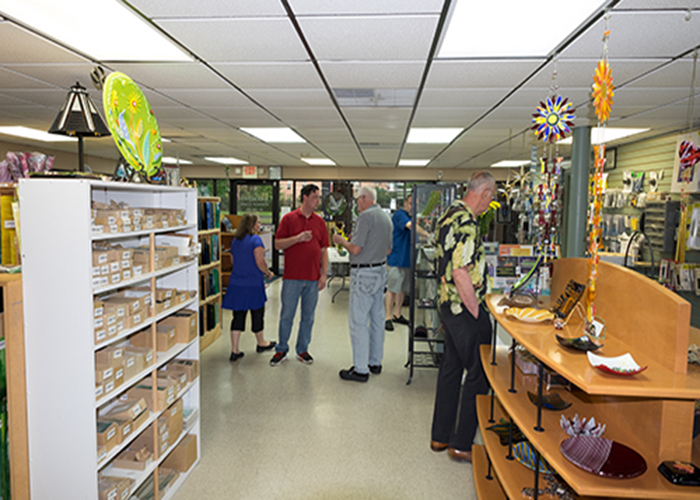 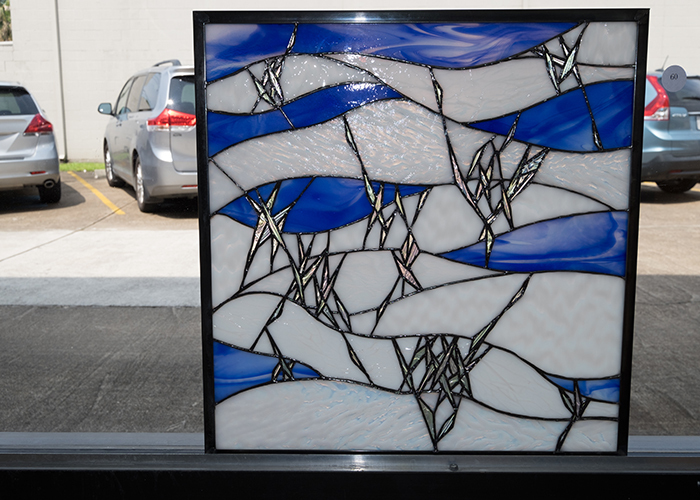 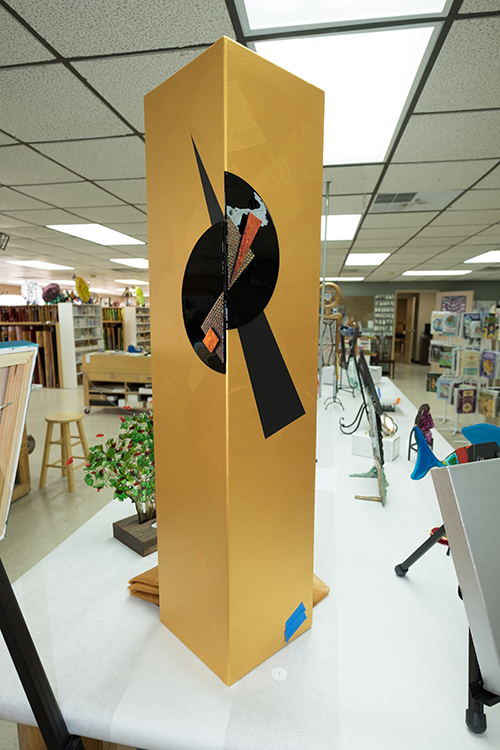 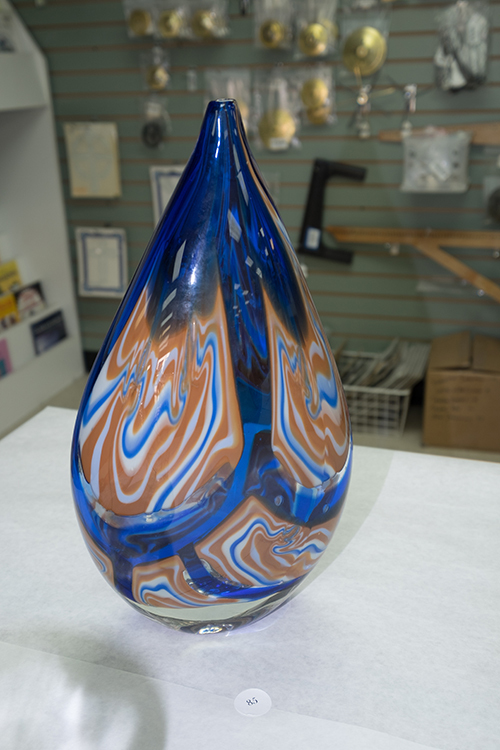 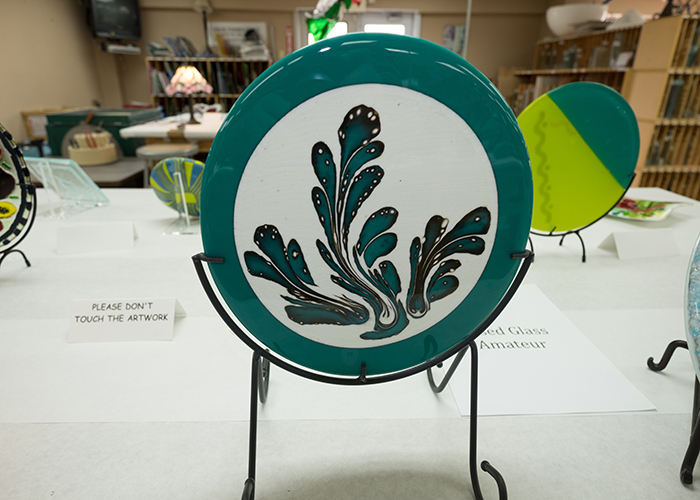 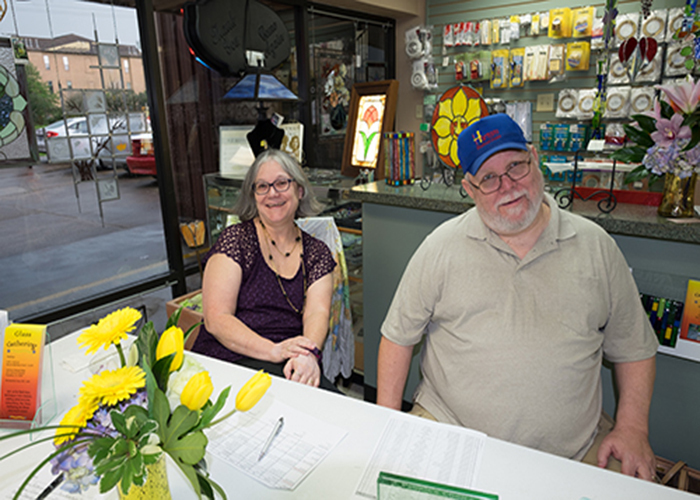 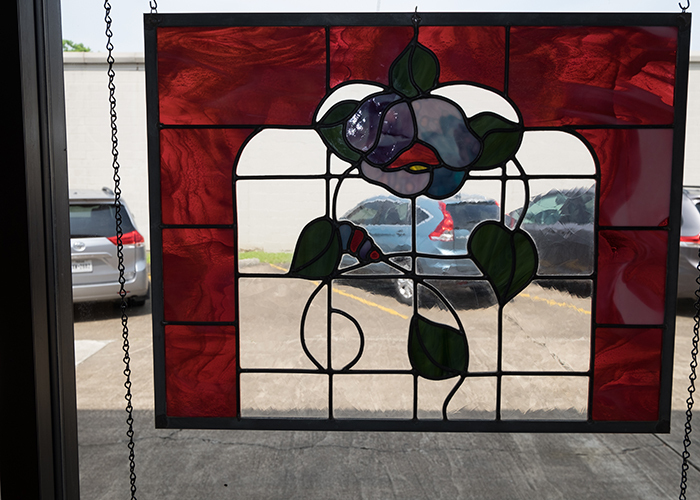 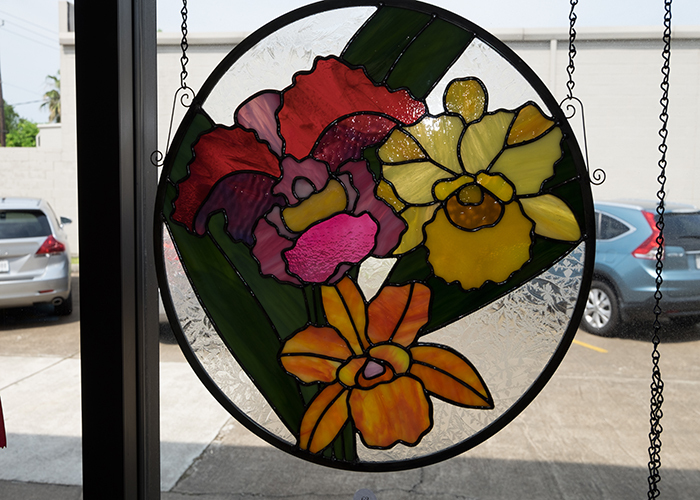 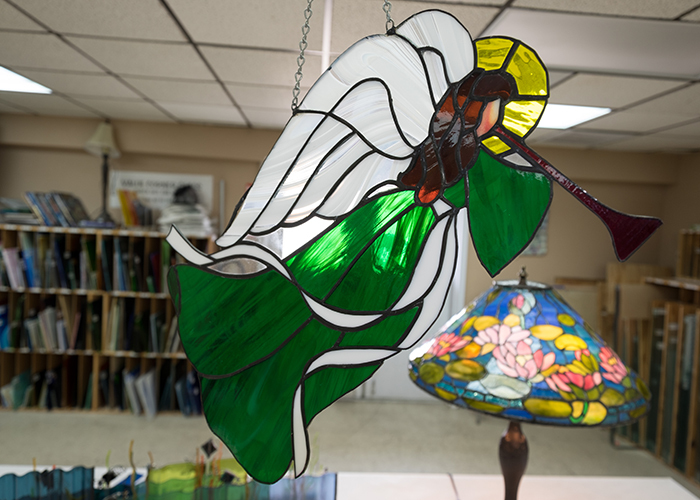 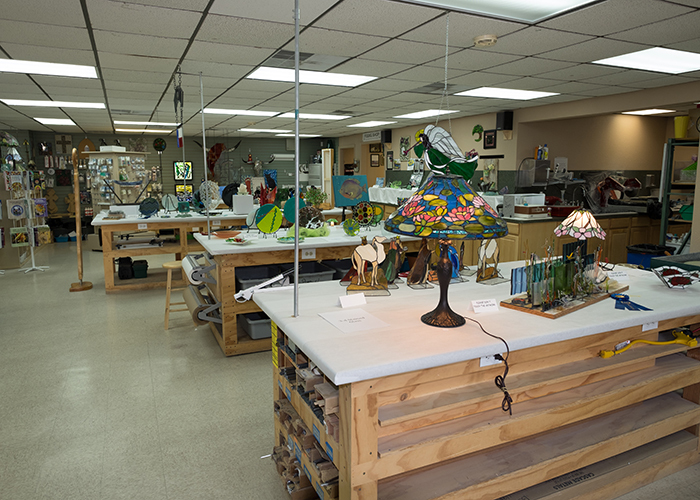 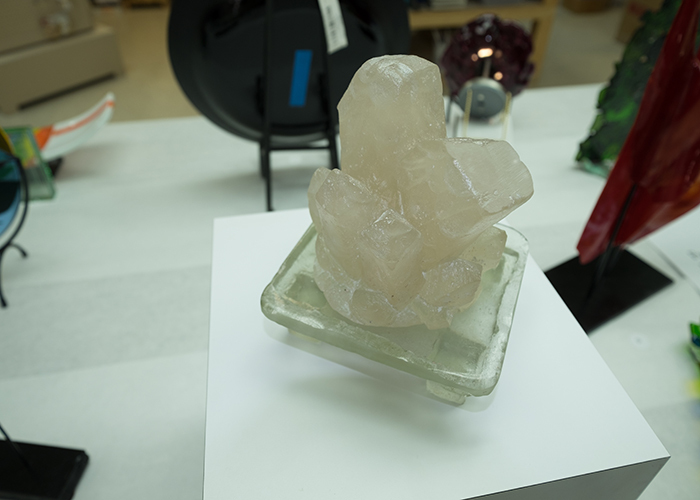 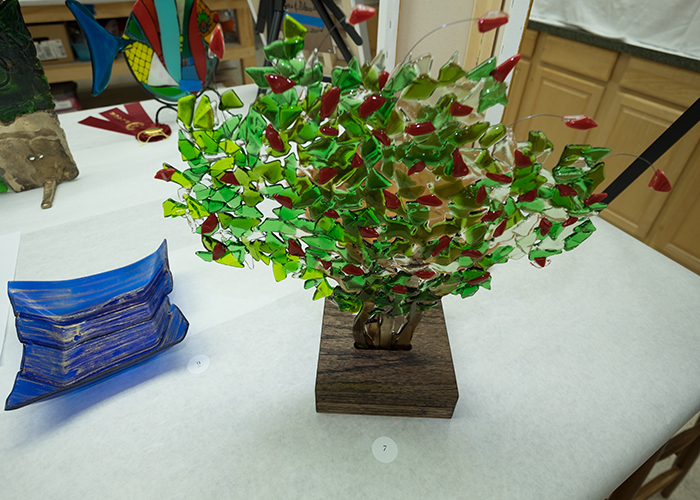 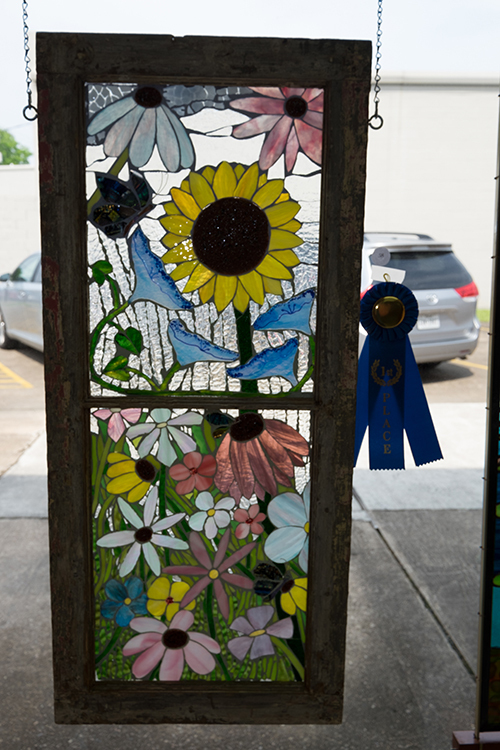 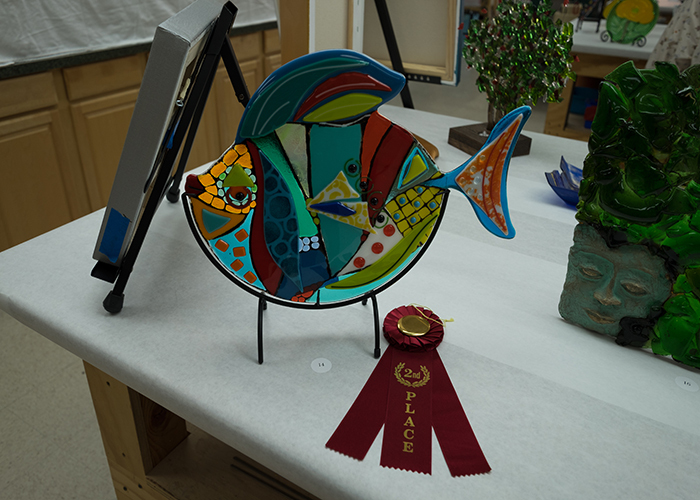 Many thanks to all the Glass Gathering volunteers who made it happen, to Harmony Stained Glass for hosting our organization and our annual show, and to Kathryn Hall of the Houston Center for Contemporary Craft for her thoughtful services as our guest judge. 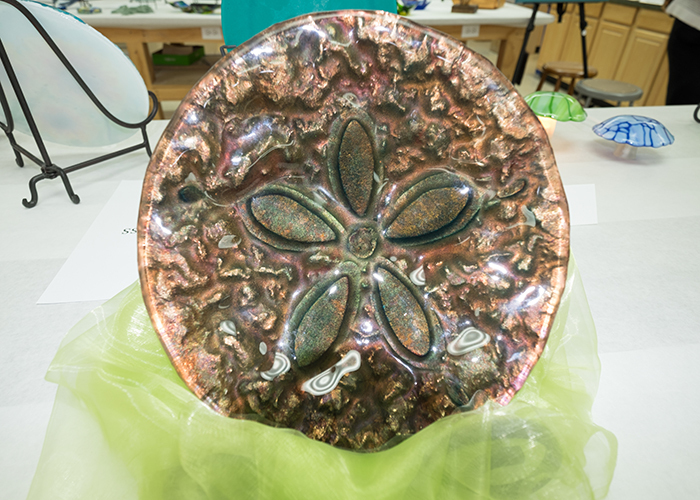 Plan to join us as an exhibitor in May, 2017! 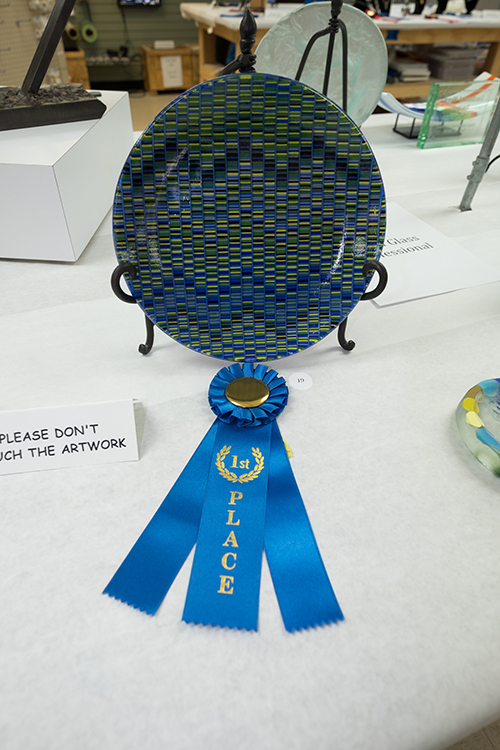 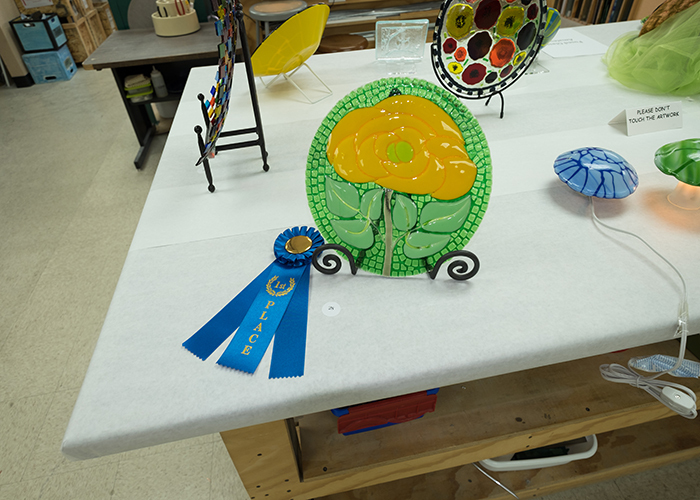 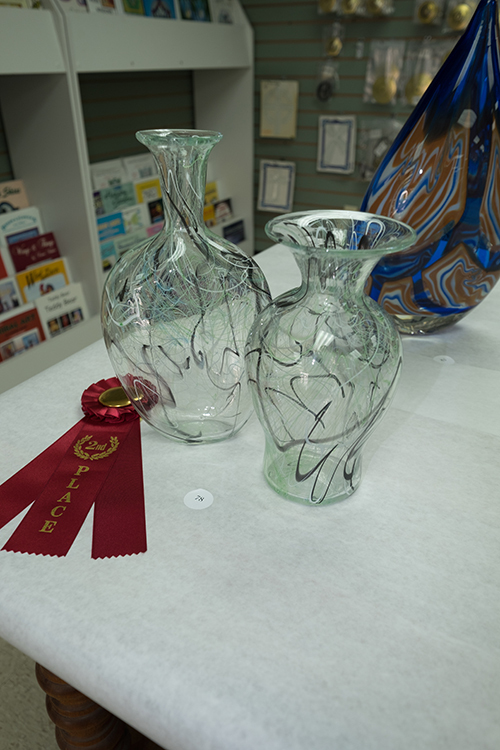 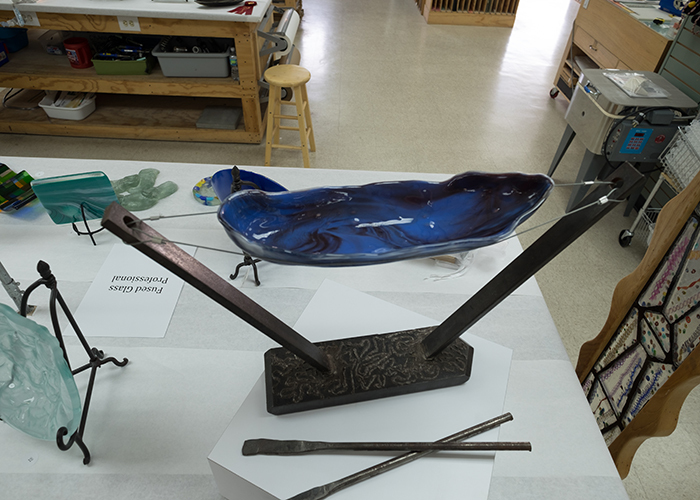 Honorable Mention: Robert Straight"DNA" Honorable Mention: Anne Hallman-Perez"Random Wine Rack"
Hot Glass Professional: 1st Place: Eric Depan "Cane Vessel" 2nd Place: Eric DePan "Amphoras"